This is the one reveal I have been waiting for since Mortal Kombat 11 was first announced. NetherRealm Studios released a new trailer for Mortal Kombat 11 today and gave us our first in game look at Kitana and D'Vorah. 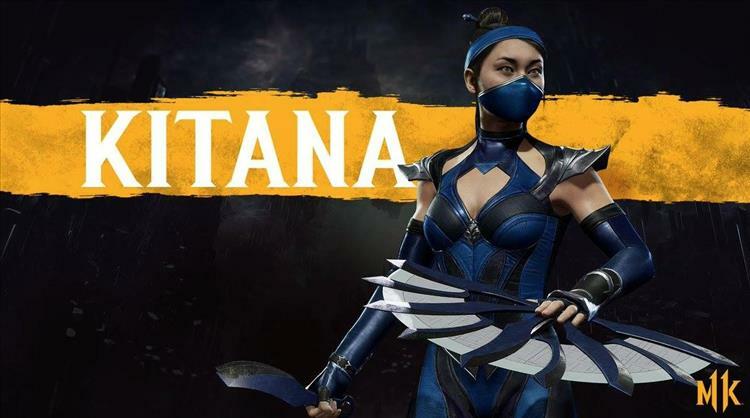 Kitana has been my main dating back to her debut in Mortal Kombat 2 and it looks like she's gonna be my main again because she looks fantastic. Kitana still has her fan tosses, fan lift and square wave attacks she is known for, but she also has some new moves in her arsenal such as being able to absorb projectile attacks to give her a damage boost. She also has another "Mournful" variation like when she used Jade's Staff and Razor-rang in MKX. This time around she can utilize Mileena's Sai's and her teleport attacks as well. We also go our first in game look at D'Vorah. D'Vorah also still has most of her attacks from MKX but she also has some new moves as well such as being able to have her babies attach to her opponents, which can then be detonated for additional damage. D'Vorah also has an amazing new move where if she dies, she turns into a bug which you can control and attack with. Mortal Kombat 11 launches on Xbox One, PS4, PC and Nintendo Switch on April 23rd.